You can open online SBI Multi Option Deposit Scheme (MODS) through SBI net banking and mobile banking facility. Here we will tell you how to download Multi Option Deposit Scheme (MODS) receipt or advice online. 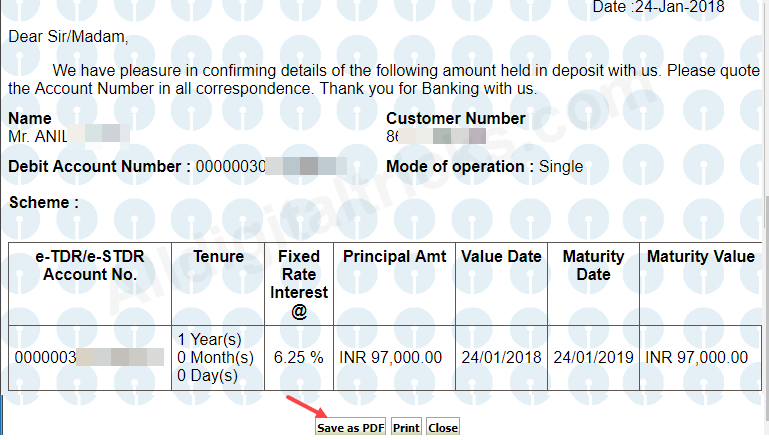 If you just opened SBI Multi Option Deposit Scheme (MODS) online, see how you can download its receipt or Advice. 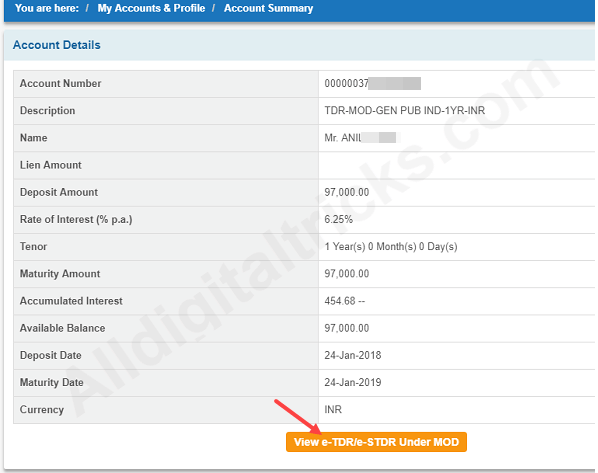 You can use SBI net banking and mobile banking to download receipt of SBI MOD. 4: Now new window will be open, you can see your Deposit receipt/advice here. Click on Save as PDF. That’s it your Deposit Advice saved on your computer. 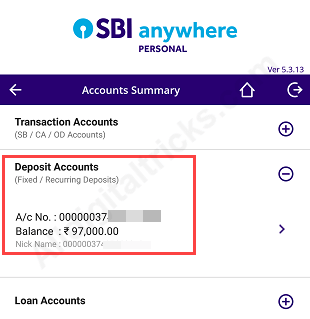 You can also use SBI Anywhere mobile banking application to open MOD and download Multi option deposit receipt. 1: Login to SBI Anywhere. 2: After login, tap on My Accounts tab. 3: Next screen tap on Account Summary option. 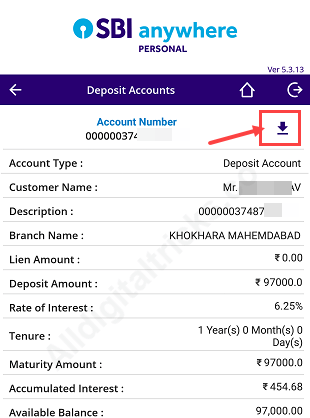 In Account summary tap on Deposit Accounts. Here you can see your MOD Account number, tap on it. 4: Now tap on Download icon (⇓) on top screen as you can see below screenshot. 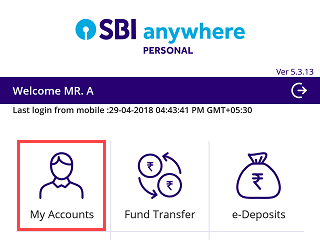 So these are two methods to download SBI MOD (SBI Multi Option Deposit) receipt or Advice.